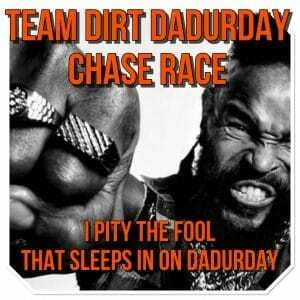 Editor’s note: the DIRT DADurday Chase Race is a new weekly event happening at 6:30AM EST every Saturday. New to chase races? These are inclusive “handicap” events, so slower categories start before faster ones, with the goal being a teamwork-driven chase followed by a mixed-category finish. We’ve asked a member of the week’s winning group to write a race recon, and here is our first, from C cat’s Christopher Dornbach. At approximately 6:30 AM EST smoke could be seen pouring out of basements, sheds, and apartments around the world… a C’s perspective of what can only be described as DIRT’s weekly culmination of trash talk, sportsmanship, and comradery. We call it the DIRT DADurday Chase Race! From the moment the ribbon dropped the C’s put pedal to the metal and quickly revved up to a strong 4.0w/kg and higher average. Surprisingly, the C’s held motivation for the first few minutes and the pack held strong. As we settled in Martin Heintzelman, the C’s leader, established his presence at the helm and the w/kg at the front of the pack was set at rock steady 3.5w/kg. The C’s blob remained together as if glued but remained untested until we reached the base of what the Team Members of DIRT call the Leg Snapper, an aptly-named 7-8% grade .4 mile (.6km) long spike in the middle of the otherwise flat Innsbruckring course. Typically this is where the attacks would begin but being a chase race the fate of the pack relies on cohesion. Heintzelman hit up the text telling the herd to stay together while Ed Zook reiterated the importance of teamwork over the Discord channel. As we hit the base chaos made an appearance. By the top of the hill many of the pack’s bigger pace setters had been dumped out the back with a lead-out of middlemen and climbers creating a large rift down the backside of the climb. By the first sprint zone the lead-out had combined into its own break with a blob of our pacesetters closely behind. Heintzelman once again steadied the pace and by the end of the 1st lap we were back together holding our targeted 3.5w/kg at the front. Lap two the C’s held steady and stayed strong. The 2nd time up Leg Snapper the C’s proved that we can learn and while the group strung out by the top of the climb we were able to pull everyone back together by the sprint. Around this time splits started being reported and taunts of Baby Shark from the B’s started lulling over Discord. By now the energy was intensifying and engines started running hot again. The C’s went into the final lap with around a 40-second advantage over the B’s. Survival was the prevailing thought and the pack held until the 3rd time we hit Leg Snapper. Without realizing it the C’s had closed the gap to the D’s. The motivation of flexing our mighty midgrade muscles and the fear of being publicly shamed after all of our trash talk proved to be stronger than the bond that had held us together to this point and every one of us knew it. As we hit the bottom of Leg Snapper with the D’s mere feet in front of us, the C’s unleashed Hell’s furry. With rev limiters removed and throttles pinned, the C’s shot through the D’s mid-climb and by the time I hit the top the damage had been done. With Heintzelman and a couple fists full of other racers, a small contingent of C’s was formed on the backside of the climb. Instantly our race radio, Discord, started buzzing with the latest gap report and the B’s were quickly gaining ground on us. With the latest time gap reports and the finish line just a few turns away, the remaining band of C’s throttled up, leaving many of our brethren C’s behind to fend for themselves. As we hit the final .5 mile (.8km) with the B’s seconds behind, I decided to lead-out and began pushing way too many watts to sustain over the remaining distance. In the final few hundred feet (75m), with the aid of an Aero PU and the finish line in sight, delusions of grandeur began fueling me and helped to maintain the effort. Then in a glorious implosion of epic proportions my engine blew. Immediately I was engulfed by the remaining DIRTy dozen of C’s who also had loosed their fears of being caught and replaced them with dreams of DADurday victory. When the smoke settled, the heroic efforts revealed, and Zwiftpower had its final say many a C paid the ultimate price that any C could. Many congratulations were showered on the bulk of the top C riders who survived to the finish… but not for their victories at the DADurday. Rather they were congratulated for their epic display of raw horsepower. 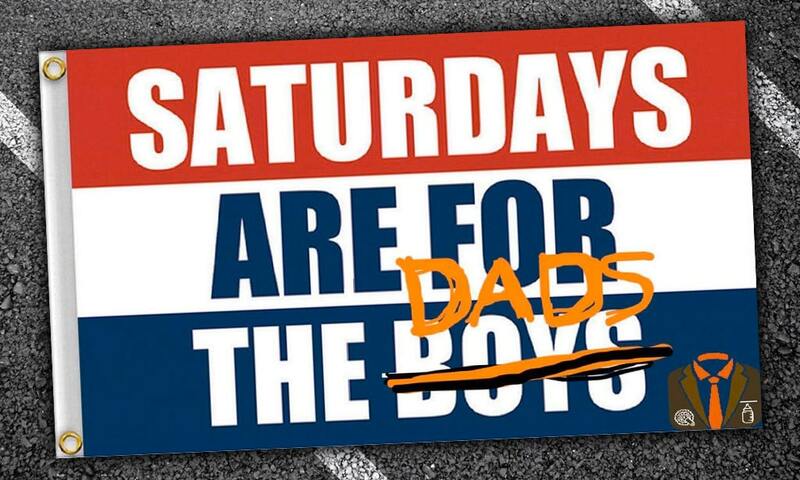 Efforts that earned them a spot at the next DADurday with their other brothers in arms, The Killer B’s! Big congrats to Troy Turley for his overall victory and Martin Heintzelman for his awesome display of steady power and leadership which rightfully earned him second place in both overall and in class. NextAre your power numbers in Zwift accurate? Take a quick test. 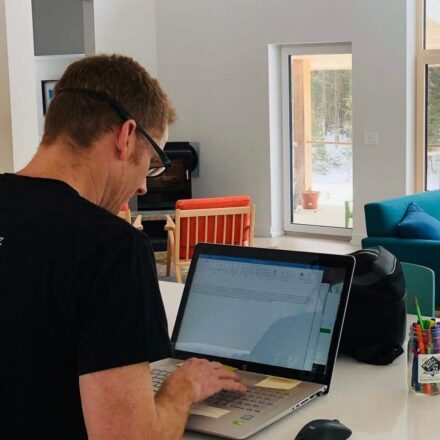 In his past life Christopher Dornbach was a bespoke bicycle frame builder who now designs structures and enjoys his winters in Maine racing with Team DIRT on Zwift. Is it just me, but are a lot of people racing in the wrong categories? The results for this show on ZwiftPower that a load of the ‘C’ class riders completed well over 3.1w/kg? I think a lot of people who ride or race on Zwift may or may not know their categories or may not even care and that’s cool. When it comes to Zwiftpower, people race their categories or get DQ’ed or filtered out. Someone racers may have a hot ride on a given day but in general are still well within their class limits. If a racer has a gross violation they get a w/kg disqualification or their result gets bumped up into the next class. As in my case, I’ve been a solid C for months and in the last 30 days I had 2 races where 95% of my 20 min w/kg was 3.14wkg and one (the DADurday) at 3.3 w/kg. The 3 races average out to be just above 3.2 and as a result Zwiftpower has promoted me up into CAT B. 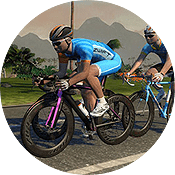 The cool thing about Zwift is that people are fairly free to do what they want and the beauty of Zwiftpower is that they do a great job of applying the rules for the racers and organizations. I have just tried a few races, but can find them confusing at times regarding placements. I get what you are saying, but isn’t a “C” group considered 2.5-3.1? Holding a target at 3.5 means you know enough that you should be racing in the B group. Taking a quick look at the results and the top 4 “C’s” averaged 3.3, 3.2, 3.5 & 3.2. Two are supposed to be racing B and 2 were actual C’s and 3 of the 4 have 355 races between them. Only one guy only had 2 races so an excuse of not knowing is thin…..virtual sandbagging at it’s best for a few of these guys.